The launch of the inaugural Kazakhstan pavilion at the Venice Biennale has been mired in controversy after the curators initially hired to oversee the project were informed via a press statement on Facebook that their services were no longer required due to a last-minute budget cut. 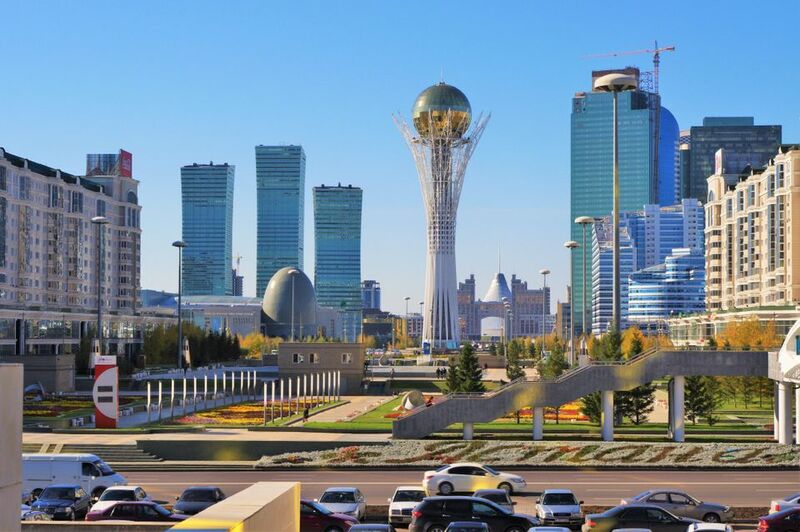 One of the curators, Nadim Samman, the organiser of the 2012 Marrakech Biennale, claims he is still awaiting payment from the commissioners of the pavilion, officials at the National Museum of Kazakhstan in Astana, which was renamed Nursultan two days ago to honour outgoing president Nursultan Nazarbayev, who unexpectedly resigned on Tuesday. The missing payment is allegedly for five months of work on the initiative; the other, Roza Abenova, the head of contemporary art at the National Museum, has since resigned. The Art Newspaper understands that the Kazakhstan pavilion has now been cancelled. In October last year, Samman was invited to curate the first Kazakhstan National Pavilion by Abenova. In the months thereafter, Samman organised a number of meetings between the museum’s deputy director Abay Karimtaevich and key contacts in Venice, including agents and owners representing ten palazzos, and presented a letter of appointment from Kazakhstan’s Minister of Culture to Biennale officials. He also travelled to London to meet expatriate Kazakh artists and, crucially, visited the national museum in December, signing “a draft version of an employment contract prepared by the museum’s lawyer, including terms of remuneration beginning 1 November 2018”. The contract, due to be co-signed, was not returned, he says. More artist studio visits took place in the cities of Astana (now Nursultan) and Almaty during January, with four artists making the final selection. “Throughout this time, I was told that my remuneration and contracts with all parties, including myself, artists and suppliers, were in process,” he says. But throughout February, other persons claiming to represent the Kazakhstan National Pavilion, unknown to Samman, were in touch with the property agents in Venice, he says, causing confusion over who was organising the pavilion. Later that month, he wrote to Almaz Nurazkhan, the acting director of the national museum, asking why the project had stalled, and officially terminated his partnership with the national museum on 26 February after failing to receive a response. “Was the project censored? Why did the incoming museum director [Nurazkhan] decide that artists, curators and partners were simply not worth the basic professional courtesy of knowing if the project was on or off?” Samman asks. On 27 February, Abenova wrote to the Venice Biennale secretariat to withdraw the project. “We had not received any concrete resources or communication from the museum directorate and so could not effectively guarantee a pavilion,” she says. Early this month, a new team of curators for the Kazakhstan pavilion was announced on the Venice Biennale website, comprising Nurazkhan, the UK art historian James Putnam and the Moscow-born scholar Viktor Misiano, who says that his name in the biennale press kit was “a mistake”. The biennial's organisers have now been notified that Kazakhstan is no longer participating, Nurazkhan says.